National Ship and Yacht Design Contest have been held by Turkish Ship & Yacht Exporters Association with different themes in every year since 2012. Award Ceremony of " VII. National Ship and Yacht Design Contest” will be held in 2nd November 2018. 18 design team will compete in constest this year. SHIP AND YACHT EXPORTERS' ASSOCIATION WAS AWARDED OF THE SUCESSFUL STUDENTS OF YILDIZ TECHNICAL UNIVERSITY. China was occupied by Turkish Furniture Sector! Turkish Confectionery & Sweet Promotion Group premiered in SIAL Brazil 2012 ! Champions of Export have received their Awards! Shipbuilding Experts from Turkey turned their course to Hamburg! Visa Requirements are lifted and now, with WFM 2012 it is the turn for trade borders ! COMMERCIAL SIEGE FROM THE TURKISH EXPORTERS AT THE KOLN CONFECTIONERY FAIR! TURKISH SHIP IN THE PORT OF HAMBURG ! TURKISH NATIONAL PARTICIPATION TO “FINE FOOD AUSTRALIA 2016 FAIR” IS SUCCESFULLY ORGANISED BY KUMIB! “Turkey Stand” Attracted Great Interest in Croatia ! TURKISH SHIP AND YACHT EXPORTERS' ASSOCIATION ATTENDED TO THE CNR EURASIA BOAT SHOW 2017! 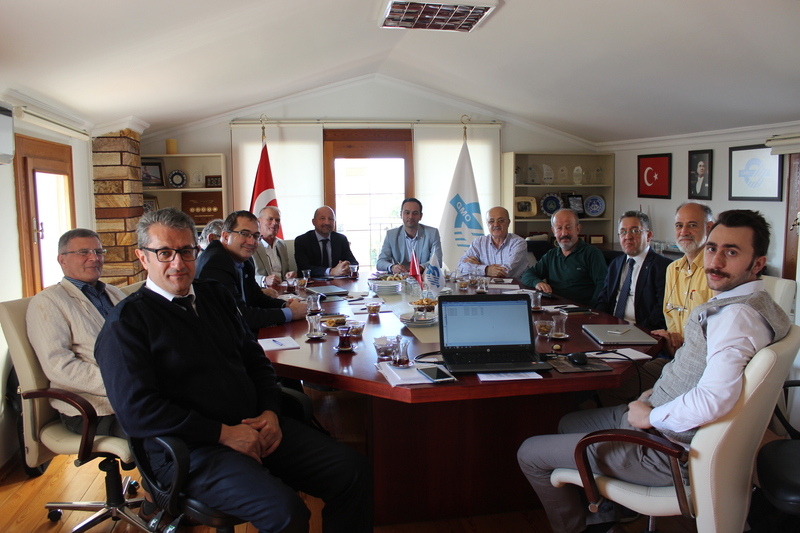 Turkish Ship Yacht and Marine Services UR-GE Project is started with instructional programmes.